Riddled with a convoluted medical infrastructure, unaligned financial incentives, and spiraling costs, the $3.3 trillion American healthcare system struggles to deliver simplified, high-quality, cost-effective healthcare. It is time for providers, employers, insurers, and advanced technology companies to bring innovation to the healthcare system. When that happens, patients and their providers can make more informed and cost-effective decisions, ultimately providing better care for patients. The recent naming of Harvard surgeon, writer, and public health researcher Atul Gawande as chief executive of a new healthcare company aimed at reducing health-care costs, is an example of trends towards that goal. The independent entity – free from profit-making incentives and constraints – is jointly owned by Amazon, Berkshire Hathaway, and JPMorgan Chase & Co. We know little so far, except that the venture will focus on applying technology solutions to make healthcare more transparent, simplified, and affordable for the more than one million employees who work for the three companies. The new venture brings a distinguished and diverse talent set to the table with a leadership team comprised of the alliance’s three chief executives – Jeff Bezos, Warren Buffett, Jamie Dimon, and now Dr. Atul Gawande. The defining characteristics of each are noteworthy. Bezos provides a commitment to drive process excellence and improve the customer experience with technology. Buffett is known for his strict adherence to best practices, as evidenced by his successful value-investing strategy for more than 60 years, while Dimon brings his ethical disposition towards the shareholder collective and intense focus on exponential value creation. Known for making surgery safer via a simple checklist, Dr. Gawande, is focused on reducing suffering, saving lives, and creating efficiencies in healthcare systems. By choosing Gawande as CEO, this new venture has attracted widespread attention that suggests and provides hope that the company will disrupt and simplify American healthcare more broadly. However, innovation resulting in something we’ve never seen before won’t happen. Instead, like most business advancements, the leadership team will look around and see what has been done well before, then with their fresh start, improve upon it. Doing it this way has proven to be successful in the past. Although there is no revolutionary silver bullet locked and loaded in just one company to cure all of healthcare’s ills (no pun intended), I do think that there are pragmatic opportunities to make a difference. Having a fresh start by not being tied to existing institutions, old ways of thinking, hard-to-break bad habits, and being embedded in negative incentives, will be liberating for the entire healthcare industry in America. So, what will a solution set ultimately look like? I offer a reexamination of a proven best practice and similar model – that of Kaiser Permanente. For those not familiar with Kaiser Permanente’s history, it was launched in the 1940s by the father of modern American shipbuilding, Henry J Kaiser, as a means to provide healthcare to workers in his construction and shipbuilding businesses. Eventually, Kaiser Permanente insurance and healthcare products were made available to the general public. Kaiser Permanente established incentives correctly to improve care quality while reducing cost. The company asked, “Why spend more to care for an injured employee if you can take action to eliminate that injury in the first place?” For example, a notable “innovation” at the time was providing steel-toed boots to workers on construction sites. Kaiser spent a fraction of the cost to protect a worker’s toes, rather than treating crushed toes. The solution maximized employee safety and productivity, increased company profits, and demonstrated the power of preventative care. Often cited as a model to reduce healthcare costs, you’ll see the organization’s commitment to cost-effective healthcare reflected in its mission statement, “Kaiser Permanente exists to provide high-quality, affordable health care services and to improve the health of our members and the communities we serve.” So, how does Kaiser do this? First, it replicates highly standardized processes based on best practices throughout its 39-hospital network and even more medical office buildings, where most preventative care takes place. Second, Kaiser Permanente remains committed to technological excellence. For example, Kaiser was an early adopter of the electronic health record, and it has achieved initial innovations in telemedicine among other achievements. Perhaps history is repeating itself. Through this new venture, Gawande, Bezos, Buffett, and Dimon seem to be channeling their “inner Henry J Kaiser.” Amazon, Berkshire Hathaway, and JP Morgan employees receive a new healthcare option while at the same time, wide-ranging interest in healthcare efficiency and cost control is piqued. Healthcare is indeed a complex beast. The solution is an adherence to best practices in technology-enabling process excellence and accountability to the details. 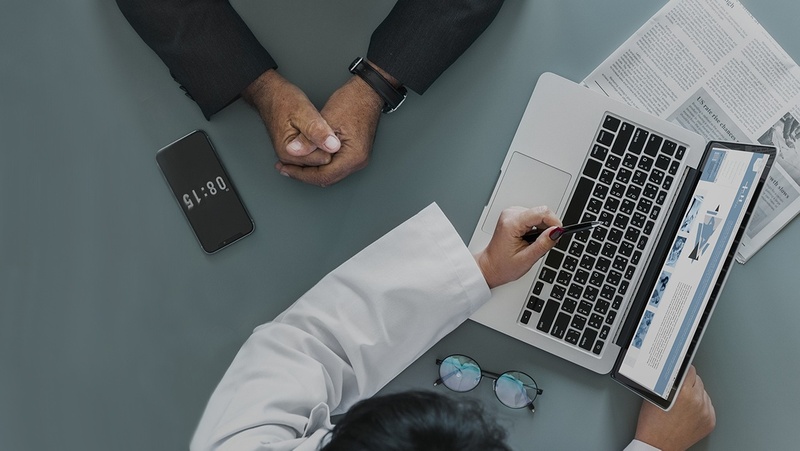 While I don’t believe any single, never-before-seen innovative change is on the horizon, I do think technology-driven process improvements and efficiency will experience a resurgence in healthcare delivery. For those interested in what ultimate solution might resemble, I urge you to look deeper into the Kaiser Permanente healthcare model that keeps patients healthy while optimizing utilization. These are interesting times in healthcare. I believe change cannot come soon enough, as access to affordable, high-quality care deserves to be a human right. Impassioned debate rages on about how much aid and protection a society should provide its citizens, given the complex nature and high costs of healthcare. The aspiration is to find ways to provide quality healthcare and lower the costs. Change in the industry requires taking on powerful interests invested in preserving the status quo. And in the era of the gig economy, this is becoming only more problematic. Regardless, I’m optimistic as I look at the possibilities of where innovation and creative thinking can bring simplified, high-quality, cost-effective healthcare delivery into the future. Brian Herriot is CEO of ReadyList, Inc.
ReadyList’s electronic checklists and workflow solutions for healthcare service teams enable nurse-ready patient rooms and quick-turnover ORs.